This write-up concerns unlawful termination claims and settlements in Montana. Almost all of these cases consist of mixed verdicts, implying they involved a single, or possibly several claims of unlawful firing caused by age discrimination, workplace retaliation, disability, constructive discharge, breach of employment contract or pregnancy. Montana is the only state in the US, where employment is not at-will. This means that employers cannot fire their employees for any reason, or no reason at all, as in all other US states that adhere to the at-will doctrine of employment. Montana’s Wrongful Discharge From Employment Act specifies the circumstances under which employees can lawfully be fired. Because of this, the number of wrongful terminations and lawsuits is very low in Montana. In fact, it is the lowest in the country. The data listed below shows a snapshot of the various kinds of claims filed and additionally their quantities in MT in 2017. 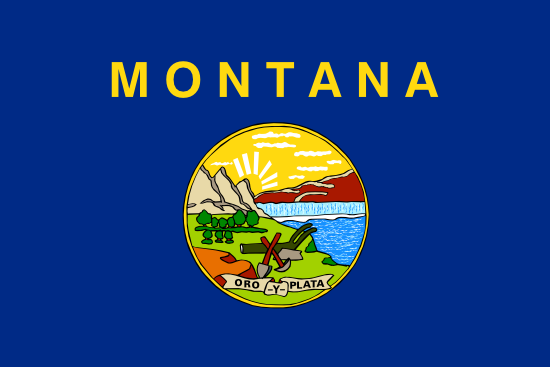 Because Montana does not use the employment at-will doctrine, wrongful termination cases are very rare. Also, the population of MT is just above 1 million people, making it one of the least populous states in the USA (despite being the 4th largest by area). George Treperinas worked for the BNSF Railway Co in Havre. He suffered a neck injury on the job, and reported it to his supervisor. He required surgery and extensive care. Instead of assisting with the injury, management fired Treperinas claiming his injury report was dishonest and written for personal gain. Having lost his job and being unable to work, he was unable to pay his bills. Daniel Dean worked for the United Parcel Service for 24 years. He was eventually promoted to a managerial position at the company’s Missoula hub. In 2004, the company introduced a new lot checking system, where certain employees had to make sure all vehicles were unloaded, so their contents can be sorted for delivery. Dean trained his subordinates, but one of them missed the lot check one evening, which resulted in 300 packages not being delivered. Dean was made responsible for the error by his supervisors. He feared for his job, so he requested an internal investigation through the employee help line. No investigation was carried out, and Dean was terminated. When looking at this listing of unlawful firing verdicts from Montana, remember the large amounts are as a result of punitive damages, that are brought to deter businesses from carrying out the same type of unjust behavior. Punitive compensation is extremely uncommon. A large percentage of cases will settle for about ten thousand to one hundred thousand dollars. Our directory of wrongful firing verdicts in MT is meant for informative purposes. Even though you may feel similarity to any of these lawsuits, remember that every case is different. It is easy to understand that you would like to find out the amount of money you could be given for your unlawful dismissal claim. If you come to an agreement with the employer, the amount of money you are given is typically based on the following: lost wages, benefits lost, reason of termination, job search costs, mental anguish and medical expenses. Punitive damages might also be granted in rare situations, if the workplace acted egregiously. As you can see from the example cases mentioned above, presenting a typical settlement for unlawful discharge cases in MT is going to be difficult, simply because every case is unique. The average wrongful termination settlement in Montana is between $5,000 – $80,000. Lawyers can certainly be helpful while brokering a larger settlement. The average courtroom awards are generally bigger, anywhere between $90,000 and $450,000. This is a good reason employers like to come to a mutually acceptable agreement out of court. If you think you were discharged for an unlawful reason, below is information on what to do. To begin with, you will need to consult with a wrongful termination attorney in Montana in order to discover if there is a case worth pursuing. Do not procrastinate, because there can be deadlines for filing unlawful dismissal claims in Montana. Second, you are going to probably need to file a timely claim with the Human Rights Bureau of the Montana Department of Labor and Industry office in Helena. Here are the steps you’ll want to take to file a wrongful discharge lawsuit.